There are some terms that you may hear used in relation to commercial construction that may be unfamiliar. At Hunnicutt Construction we believe that an educated client is much more likely to be happy and satisfied with their project from start to finish, so we want to make sure you have a clear understanding of the terminology you may encounter during your build. Of course, we are always happy to answer questions directly as well! Addendum (Addenda) : Written information adding to, clarifying or modifying the bidding documents. An addendum is generally issued during the bidding process; addenda are intended to become part of the contract documents when the construction contract is executed. Bidding Documents: The published invitation to bid, along with any instructions to bidders, the bid form and the proposed contract documents, including any acknowledged addenda issued prior to receipt of bids. Change Order: A written, legally binding contract addendum between the owner and the contractor typically authorizing a change in the scope of work or an adjustment in the contract sum or the contract time. A change order may be signed by the architect or engineer, also. After the execution of the construction contract, all changes to the scope, pricing, or timeline must be made by written change order to be legally binding. Leadership in Energy and Environmental Design (LEED): Sustainable design through use of materials, construction practices, efficient building design, environmental impact studies, renewable energy & more. LEED certification is achieved on a points based system that is assessed after completion. Punch List: A list of items to be corrected compiled by the project manager and owner during the final inspection of a project. “Punch out” is sometimes used to refer to the act of correcting Punch List items. Request for Information (R.F.I. ): A written request from a contractor to the owner or architect for clarification or information about the contract documents. Request for Proposal (RFP): A request for proposal (RFP) is a solicitation made, often through a bidding process, by an agency or company interested in procurement of a commodity, service or valuable asset, to potential suppliers to submit business proposals. Interested parties then submit their bids for providing the requested commodities. Schedule of Values: A statement breaking down contract sum into portions allotted for the various parts of the work, often used as the basis for reviewing applications for progress payments. Specifications: A detailed, exact statement of particulars, especially the statements prescribing materials and methods; and quality of work for a project. Specs are commonly issued with plans or drawings and are created by the design team or architect on a project. Bids are based on drawings and specifications. Time and Materials (T&M): A payment arrangement between the owner and the contractor wherein the price for the work is based on the contractor's actual costs for labor, equipment, materials, and services plus a fixed add-on amount to cover the contractor’s overhead and profit. Value Engineering: Evaluation of construction methods and/or materials included in project plans and specifications to determine where changes can be made to reduce costs, while remaining compliant with specified performance, reliability, maintainability, aesthetic, safety, and security criteria. If you don’t work in construction it can be difficult to make sense of what the various roles are within the industry. If you’re new to the process and planning a project, you may be wondering which types of pros you should consider hiring. You may have heard the terms General Contractor and Construction Manager before. Sometimes people believe they are one and the same. However, there are different definitions of the tasks associated with these roles and you may need one or the other, or both, so it’s good to know what they actually mean. The most common use of the term “General Contractor” typically refers to a business entity. This would be a construction firm with its own set of employees. Most people use this term to refer to a licensed, insured builder that is contracted by the Owner to oversee projects that they are responsible for completing, based on pricing given for a defined scope of work. General Contractors (or GC’s) are usually the top authority figure on a jobsite and are contracted directly with the project’s Owner or developer, who pays them. They should have foreman or superintendents who primarily work at the job site overseeing progress, making schedules, interpreting plans, directing subcontractors and laborers, and managing the job. GC’s usually have a group of Subcontractors or tradesmen that work under them completing various aspects of the job. Subcontractors may do work for many different General Contractors at the same time. Subcontractors and other tradesmen contract not with the project’s owner, but directly to the GC, who accepts responsibility for paying them and for the quality of their work. 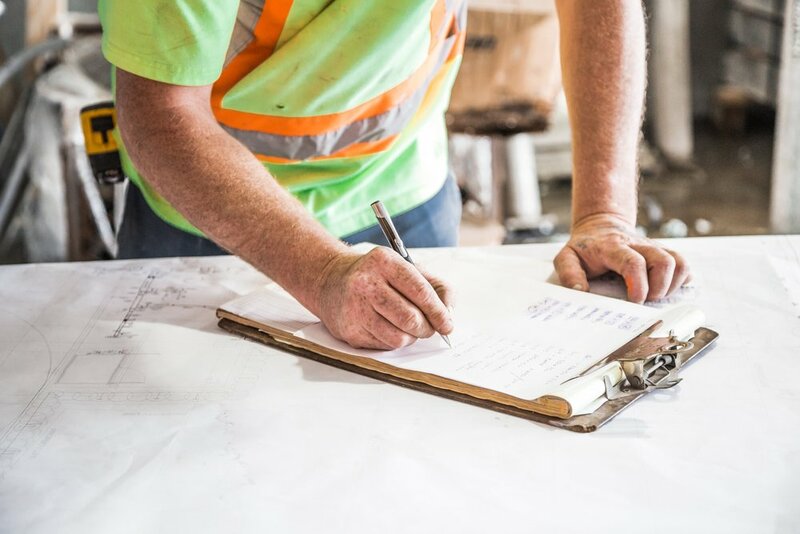 Most commonly, General Contractors are named on the project’s Building Permit and have trusted Subcontractors that they tend to use over and over again as they build a relationship and rapport over time. This serves as an advantage for Owners when comparing General Contractors to Construction Managers. It means that everyone on the project is already familiar with working together so expectations and general operating procedures are likely to be established. This familiarity also implies that there is a certain level of loyalty, cooperation and camaraderie; that the GC and the subs know, like and respect one another. The GC will also take responsibility (financial and otherwise) if a Subcontractor has performance issues. General Contractors most often specialize in one or more types of construction projects. Unlike a GC, which is usually a firm, a Construction Manager usually refers to either an individual or a group of people. A key difference between the GC’s and CM’s is that the Construction Manager doesn’t do any of the actual building. Rather, they are estimators, project managers, accountants or other professionals that act as the Owner’s stand in or proxy during the project. General Contractors can also serve as Construction Managers, most commonly on projects that they are not the GC for. A good reason to hire a GC for your Construction Manager is that they are experienced with all the various aspects of General Contracting and thus can effectively manage another GC as the Owners’ representative. Construction Managers roles are defined by each Owner and that may vary depending on the needs of the Owner. Some Owners are very hands-on and the role of the Construction Manager may be smaller; other times the Owner is located far away or doesn’t want as much input, or doesn’t have the time required to manage the project themselves. In this case the CM will take a much more active role. Construction Managers are usually compensated at a percentage of the total project cost. The Manager assists Owners with research and other pre-construction tasks such as meeting with designers, financiers, and code officials, or interviewing General Contractors during the planning phases. Often Construction Managers also oversee construction, sometimes by hiring and communicating with Contractors throughout the project’s build phase. Construction managers often work for only one Owner over and over on various projects. General Contractors and Construction Managers are very different entities, with different organizational structures and responsibilities. They differ too in their business relationships with Owners & Subcontractors, and their entry and exit points on each project. Hopefully this information helps you decide whether you need a General Contractor or the services of a Construction Manager, or both! Hunnicutt Construction offers both Construction Management services and General Contracting. If you are planning a build, give our team a call to discuss whether you will need a CM, a GC, or both. We’re happy to answer questions and set up a consultation to help you assemble the right team for your job. The process of vetting & hiring a design or construction team for your Virginia area construction or development project is a complex undertaking. It’s likely to involve multiple meetings of decision-makers, considerable resources, and an extended period of time conducting extensive research. Or at least, it should. Because of this, there are advantages in choosing one firm that can handle both the design and the build components of the project. Choosing a separate firm for each of these tasks may result in triple the work. Regardless of whether you hire an integrated firm for all project components, or select each team member separately, there are some things you should consider carefully when screening and hiring your design build group. A firm or professional’s level of experience in your industry can help build trust and assure familiarity with your type of project. Having experience in your sector ensures that your contractor and or architect understands the regulations, requirements, and potential issues which may occur. Hiring an inexperienced team may result in additional road blocks or training/ research, all of which could create delays. And time often equals money. While the reputation and portfolio matter, you also want to know about the capabilities of the team working on your project. During your preliminary meetings, ask potential firms to introduce you to the staff who will be working directly with you for the duration of the project. You’ll want to ensure you have access to the company’s leadership and get comfortable with every member of the staff that you’ll be working with. Can you communicate well with them? Do you feel confident with their professionalism and experience? Cost is, and will always be, a major, and sometimes, a defining factor when hiring your construction team. Our advice here is to do your best to choose a firm that offers affordable, quality, and timely builds. If you receive a bid for a project that is far below the quotes received from other firms, you should question the bid with regard to quality and thoroughness. The old adage that “you get what you pay for” holds true here. You don’t want to choose based only on price. Understand the ins and outs of the cost structure of your project and make sure your budget is adequate. Hidden fees or surprise costs may pop-up after you sign if your firm has missed items, improperly factored in the conditions on site, or overlooked factors like weather, time to source supplies, the difficulty of sourcing specialty labor, rising costs of materials over time, etc. Communication is everything- it is the cornerstone of customer service, regardless of the type of contract you are entering into. The best construction teams, if anything, tend to over-communicate and will answer many questions before you think of them or even have a chance to ask. Make sure you choose a firm which treats you as a priority and takes ownership of your concerns. Your contractor and architect should know your priorities and goals as well, if not better, than you do if they are truly going to be able to anticipate and meet your needs. The more attention they pay to you, the better. You should never choose a firm that you have to chase or that doesn’t respond to communication in a timely fashion. Respect a company whose staff occasionally answers an inquiry with “I don’t know, but I will find out”. No contractor knows everything without doing some hands on research; regulations, prices, and conditions change rapidly in this industry. You want a company that offers you honest answers, not a series of bland reassurances. Finally, request one point of contact to handle all of your needs throughout the project, to simplify communication and streamline your role as owner. While you want access to the company’s leadership, there is a lot to be said for accountability. A single point of contact means that you don’t waste time repeating yourself or dealing with conflicts that may arise between multiple sources. Hunnicutt Construction has been serving the Virginia Commercial Construction sector for decades and we are committed to customer satisfaction. We value transparency and integrity, honest pricing and superior craftsmanship. If we can help you on your next project, we’d love to talk! Contractors and design firms are experiencing increasing pressure in today’s market, to deliver quality builds quickly. They must carefully take into account factors such as budgets, timelines and associated costs with every project. The design-build delivery concept is emerging as a clear winner when it comes to efficiencies in both communication and cost. The traditional design-bid-build model used in construction for decades goes like this- the owner chooses, collects bids from, and contracts separately with, both a designer and contractor for their build. The selected design or architectural firm develops and delivers all of the construction documents according to the owner’s vision. Then, the owner identifies construction firms, and solicit bids from several to complete the work. Under this delivery model, neither the designer nor the construction company bears any contractual obligation to one another- leaving the owner to bear all of the associated risks if design and construction realities do not align. Under the emerging design-build concept, however, owners hire one design-build integrated company, which then performs the architectural, engineering, and construction components, which all fall under one contract. Based on the structure of the design-build firm, portions of the job may be subcontracted out appropriately; however, a single company manages the process from start to completion and acts as a single point of contact for the owner. Thus, the design build process reduces time, costs and risks for the owner by streamlining communication between the design pros and the construction team, and creating a collaborative rather than a competitive approach to problem solving. Unlike older methods of estimating costs, the design-build approach means the project has one point of contact responsible for estimating and communicating costs to the owner. Since owners universally have budget constraints, they rely heavily on accurate estimating and cost forecasts to determine project viability & scope. Under the design-build methodology, the entire team employs their extensive experience & understanding of project-associated costs to provide a comprehensive cost view of the planned project from start to finish. 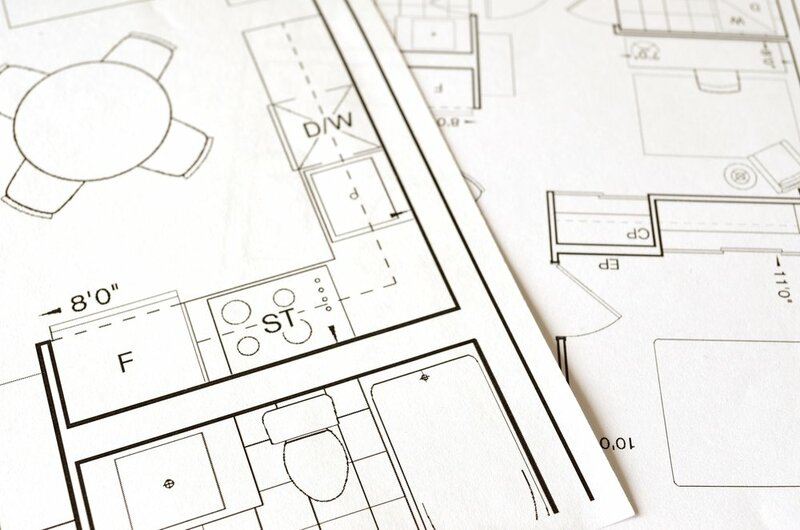 The objective of the design-build estimate is to outline the expected costs and determine if they align with the expectations of the owner, which occurs early in the design phase. A design-build project typically provides owners with a Guaranteed Maximum Price, unlike traditional design-bid-build construction processes where project cost is not realized until after the bidding is complete. The Guaranteed Maximum Pricing allows an owner to make important decisions early on in the design phase as to scope and financial viability. This illustrates why design-build delivery is so valuable for Richmond’s developers and property owners. Takeoffs- establishes quantities of various materials from the plans that will be needed to complete the project. Design costs include expenses associated with research, CAD support, Civil Engineering, Architectural Design, Mechanical Engineering and other costs associated with the development of plans. Labor hours- these are factored on a man-hour or team basis. Allowances need to be made for the varying production capability based on a project’s complexity & expected timelines for various project components. Labor rates are the costs for the man hours required. Estimates should include architectural, engineering and any specialized skill rates as well as overtime. Subcontractor rates for specialized trained installs such as electrical, plumbing, and other trades will be factored based on the scope of the plans. Subcontractor quotes will include material, labor, equipment, and indirect costs such as permitting and inspections. Material costs tend to fluctuate with the economy. Estimating material costs requires factoring in the anticipation of price variations, quality, availability, warranties and timing. Variables include material time-to-delivery, physical requirements of delivery & installation, shipping, order size, and more. Equipment costs can vary widely. The design-build team will use the projects’ overall scope to determine the type, size, and capacity of necessary equipment to complete the build. Costs will differ if the equipment is rented or owned by the contractor, what site conditions necessitate, and who operates it. Indirect costs include materials, labor, and equipment that are necessary to complete the project but that are not necessarily part of the actual building costs. These can include permits, legal fees, staffing, temporary heating and cooling, small tools, unforeseen site conditions, consumables, demolition & disposal etc. The design-build integration is gaining traction among project owners and developers for many reasons, but especially because it results in a much more accurate projection of costs. Organizations with strict budget requirements appreciate the design-build approach because of the streamlined ability to keep costs in check and the integrated approach to that objective that is shared among the entire team. A single point of contact dramatically lowers the need to write change orders, which minimizes budget overruns and timeline delays. From a communication perspective, dealing with one firm always reduces time and complications compared to dealing with multiple contacts. Due to its efficiencies, owners find that design-build reduces construction costs as well as costs associated with research and development. Smooth delivery and streamlined operations allow owners and developers to spend less time focusing on a current build- so they can invest more time into other aspects of their businesses, such as developing new projects & opportunities. The expedited timelines and ease of managing design-build projects positively impact other business operations, creating more profitability across the board. Hunnicutt Construction is proud to offer design build services throughout the Metro Richmond area and beyond, for projects large and small. If you have questions about whether a design build strategy might be right for your next project, give our experienced team a call. We are happy to answer questions and help you determine the best way to bring your project to reality. Happy New Year, and welcome to our new blog!